JC is moving back to Afternoons! He will have the same great music, trivia, contests and requests. Throw in some news and sports and you will have the perfect companion to get through your work day and a great guy to take on your drive home. JC is taking your Rock & Roll Requests! 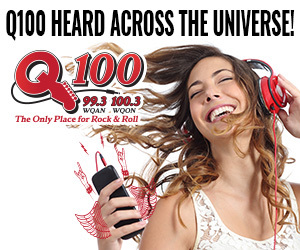 Call and request your favorite song 989-348-Q100 or TEXT to 989-889-5670!